This “Website of the Week” isn’t going to be a regular occurrence, but IFTTT sent me a text a couple of days ago, and I decided to write about it because it’s pretty cool. IFTTT stands for “If This Then That”, and it is an online utility to perform a particular action when a particular event occurs. I’ll try to explain that again. 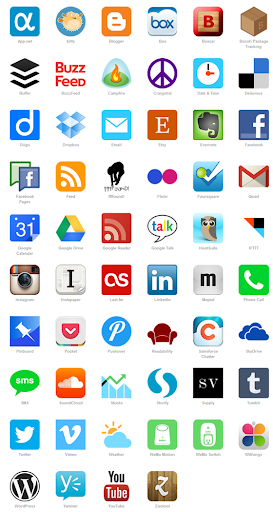 You connect IFTTT to your other online accounts such as Google, Facebook and Dropbox. There are lots of different triggers that can occur. For example, every day at a particular time; when you are tagged in a photo on Facebook; or when you send IFTTT an email with a particular subject. You can add services like Yahoo weather and you can connect your mobile phone as well. By connecting all these services, you can perform a whole range of tasks. 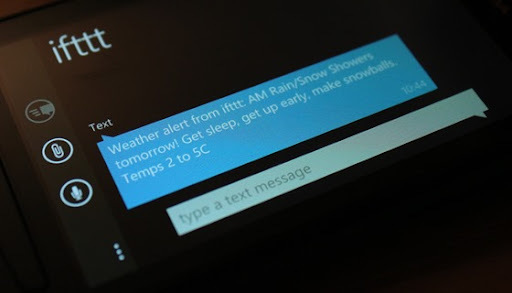 For example, if you are tagged in a photo in Facebook, it can automatically be saved to SkyDrive; every time you write a blog post with a particular tag, post it to Facebook automatically; send you an email when an RSS feed updates; or if it’s forecast to snow tomorrow, send me a text! All of this crazy functionality, and the service is completely free! I’ve mentioned only a few services. Here’s a picture of all the other services you can use to make rules. I have no idea what most of them do. Let’s set up a rule so that if one of my programs on my Raspberry Pi crashes, IFTTT will send be a text. Now obviously a Raspberry Pi can’t send texts on its own, but it can send emails. 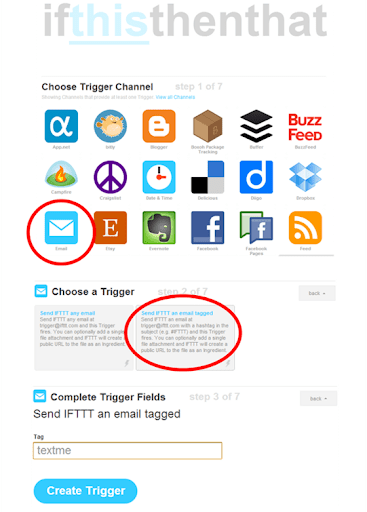 I’m not going into the details of how to send an email when an error in my program occurs, but the important bit is that it sends from my Gmail to trigger@ifttt.com. IFTTT can read emails and send texts accordingly, so technically, it has given my Pi the ability to send texts when it couldn’t before. I want the event to occur if IFTTT receives an email from my Gmail account with the hash tag #textme. We then need to send the content of the email to my phone.